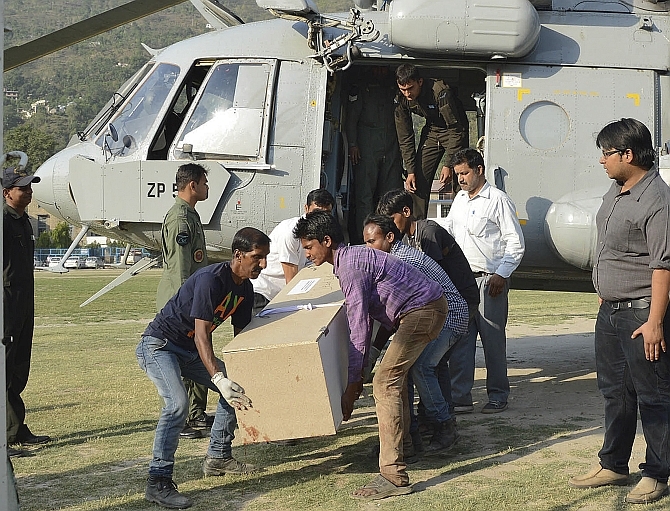 Bodies of four students from a Hyderabad-based engineering college, who were washed away along with their classmates in Beas River in Himachal Pradesh, were brought home by a special Army aircraft. 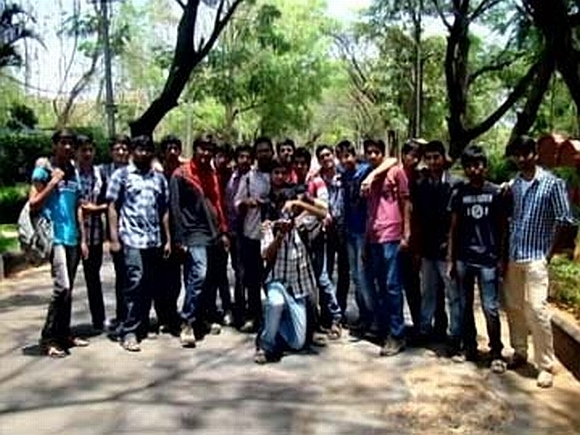 The 24 students of the VNR Vijyana Jyothi Institute of Engineering, a part of the 48-member group on tour, who survived the tragedy were also flown in another special flight and landed at Shamshabad International airport on Monday night. Bodies of A Vijetha, Lakshmi Gayathri, G Aishwarya and B Rambabu arrived in a special flight at Begumpet airport on Monday night. Both governments of Andhra Pradesh and Telangana issued press releases on the flight arrangements made. According to a press release issued by the Andhra Pradesh government, the students who survived the mishap and bodies of their classmates were brought back by a special aircraft. 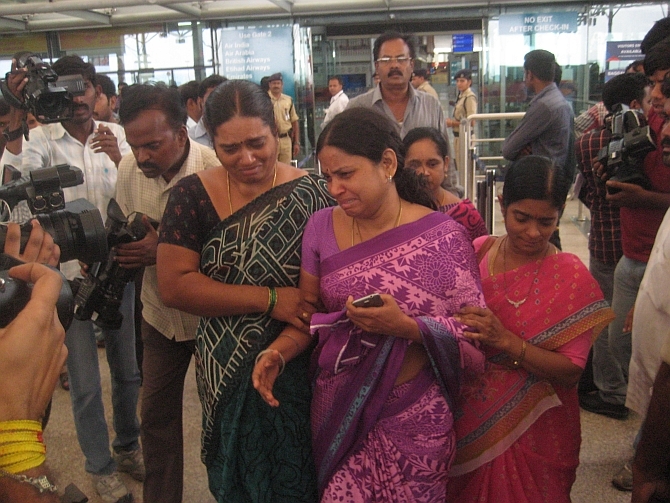 Four of the bodies were brought to Begumpet airport on Monday night, the release said. The special flights for the students who were stranded and underwent a harrowing experience were organised by state minister P Narayana, Union Civil Aviation Minister Pusapati Ashok Gajapathi Raju and Commissioner of Relief J C Sharma on behalf of the government. A joint control room for both the governments of Telangana and Andhra Pradesh is set up in Hyderabad to keep in touch with officials at Delhi and Himachal Pradesh on the progress of the operations. The Telangana government, in a separate press release, said they have already given requisition to the Defence Ministry for helicopter and aircraft for Chandigarh and thereafter to the mishap spot in Kullu to bring the bodies back to Delhi and thereafter to Hyderabad. Telangana Director General of Police Anurag Sharma said the 48 students had gone on a study tour and 24 of them washed away in river Beas near Thalot on Manali-Kiratpur Highway, 40 kilometre from Mandi. The postmortem of four bodies, three girls and a boy, was also conducted, he said. Telangana Deputy Chief Minister Mohammed Mahamood Ali, who was among those who received the bodies at Begumpet airport, said Home Minister Naini Narsimha Reddy and senior government officials along with a police team, which is in the hill state in connection with the incident, will stay back until all the bodies are recovered and sent to Hyderabad. “The minister and the officials will stay back in Himachal. The Telangana government will extend all help in getting back the bodies,” he said. Meanwhile, Andhra Pradesh Ministers K Srinivas Rao and R Kishore Babu and Telangana Transport Minister P Mahender Reddy interacted with the survivors and their family members at the Shamshabad airport. Some of the survivors, including Divya and Ketan, said, “Initially there was no water and hence we got down to take photographs after asking some locals. But, suddenly the water level increased... There was no siren/alarm sound on discharge of water. Due to sudden flow of water we saw them (our friends) swept away in front of our eyes... We were all in shock,” they added.